Six Sigma is a disciplined, data-driven methodology for reducing variation in any process. The Six Sigma methodology–driven by the DMAIC (define, measure, analyze, improve, control) process–is executed by Six Sigma green belts, Six Sigma black belts, and overseen by Six Sigma master black belts. The black belt course has two distinct parts: the in-class portion and a project. 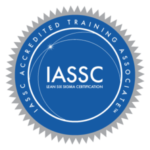 The Six Sigma Black Belt Certification for Qualified Green Belts* in-class portion consists of three full weeks of lectures, exercises and team-learning competitions. All of the statistical and quality tools needed to successfully complete a black belt project will be thoroughly presented so the student can return to his/her facility and readily apply them. 5-20 Classes that do not meet the minimum attendee requirements may be canceled or rescheduled. For more information about Six Sigma services, contact Dr. Sampson Gholston at 256.824.7310.